Can't attend? Follow #smashpopworkshop to know of future events! Been wanting to take better photos and edit them like those Instagrammers you follow? Time for you to level up your photography skills! Whether smartphone or camera, it doesn't matter. Learn to edit either on smartphones or computer. 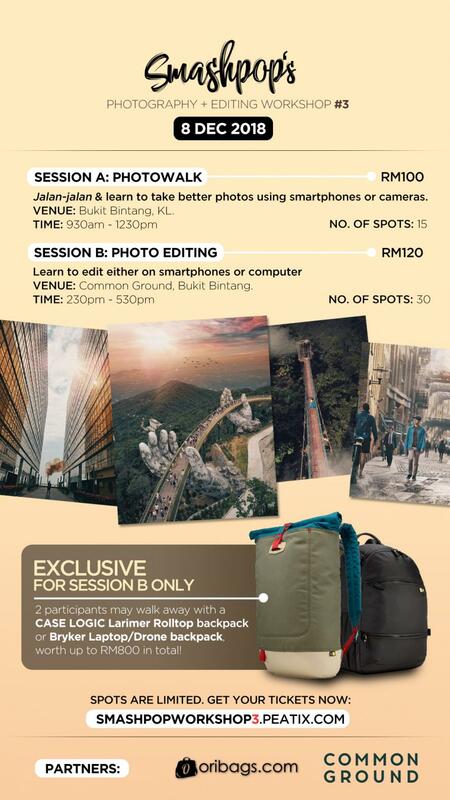 2 participants may walk away with a CASE LOGIC Larimer Rolltop backpack or Bryker Laptop/Drone backpack, worth up to RM800 in total!